All rights reserved. Data on this website may not be published without permission. We hereby announce the following events concerning the National Center Biobank Network. NCBN set up a booth with the "Medical Japan 2018". 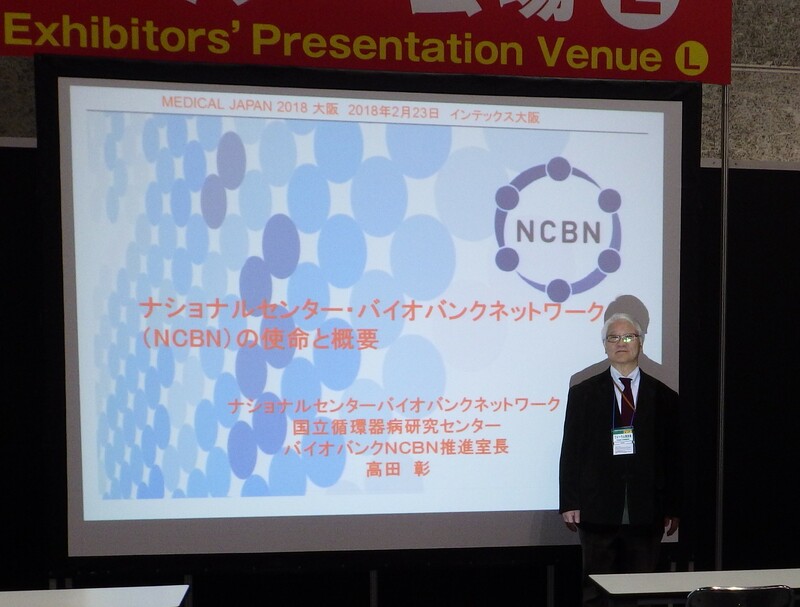 Dr. Takada, Vice Director of the NCVC Biobank gave a speech at the "Academic Forum". NCBN set up a booth with the "BioJapan 2017". NCBN set up a booth with the "BIO tech 2017". Dr. Kato, Secretary-general, Central Biobank of NCBN gave a speech at the "Academic Forum". NCBN set up a booth with the "MEDICAL JAPAN 2017". NCBN set up a booth with the "BioJapan 2016". NCBN set up a booth with the "Life Science World 2016 : BIO tech 2016". NCBN gave a poster presentation at "ISBER 2016 Annual Meeting & Exhibits". NCBN set up a booth with the "MEDICAL JAPAN 2016". Dr. Miyamoto, Vice President of the NCVC Biobank gave a speech at the "Academic Forum". NCBN set up a booth with the "BioJapan 2015 World Business Forum". NCBN set up a booth with the "Life Science World 2015 : BIO tech 2015". NCBN set up a booth with the "MEDICAL JAPAN 2015". NCBN set up a booth with the "Bio Japan 2014 World Business Forum". Dr. Nakagama, President of the 6NCs Biobank Management Conference gave a speech at the Organizer's Seminar "Towards Realization of the Personalized Medicine –Recommendations from Cohort Study-". NCBN set up a booth with the international biotechnology exhibition at "BIO tech 2014". Dr. Kato, Chief of the Secretariat of the Central Biobank gave a speech at the "Academic Forum". 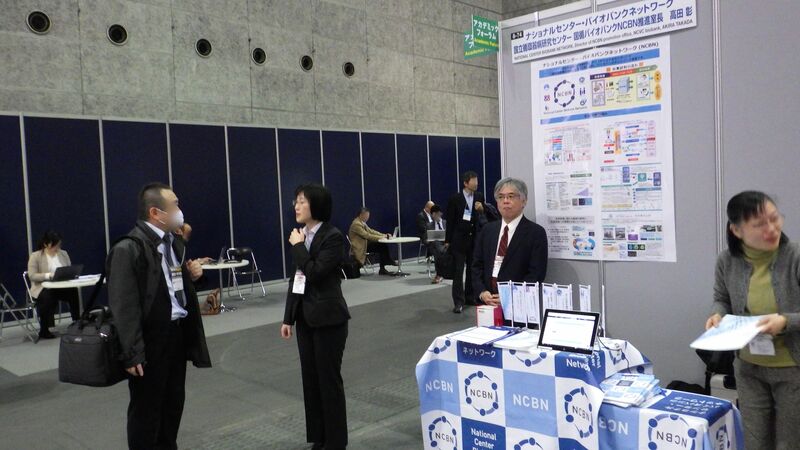 NCBN was introduced at the First NCGM International Symposium "The Biobank Meaning and Trends at Home and Abroad". Please see the information of the National Center Biobank Network. 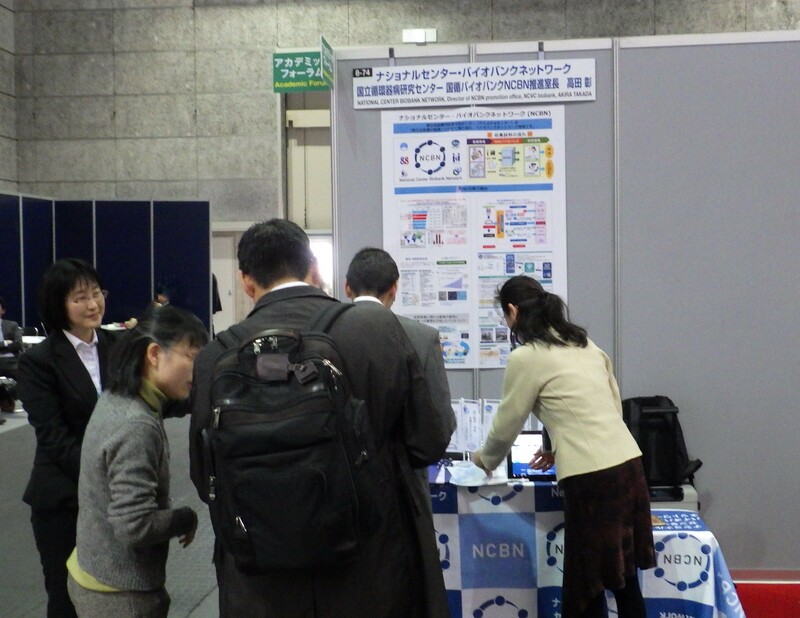 NCBN was introduced in the article "BIOBANKING IN JAPAN: AN OVERVIEW AND LOOK TO THE FUTURE" by Dr. Koh Furuta of NCC (National Cancer Center) in the September 2014 Newsletter (Vol.14, No.3) of ISBER. In "QIAGEN eyes No. 7" issued by QIAGEN K.K. – Japan on Sept. 20, 2013, the article of NCBN was published. In "NCNP TMC NEWS No. 11" an excerpt from 'TMC NEWS No. 11', the article of NCBN was published.